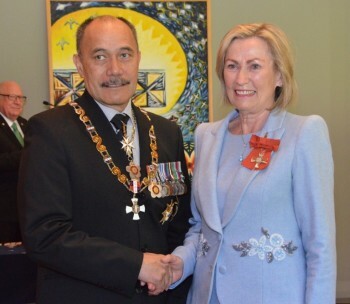 NEVILLE-WHITE, MRS DEIRDRE GAY a Member of the New Zealand Order of Merit: For services to children's health. Mrs Deirdre Neville-White led a small steering group from 1983 to 1991 to establish the Radio Lollipop charity in New Zealand, a play programme that operates in children's hospitals. Mrs Neville-White was the founding Chair of the Board from 1992 to 2002 and continues to serve as a Director of Radio Lollipop New Zealand. The service began in Starship Children's Hospital in 1992, and then in Counties Manukau in 1996, with the organisation growing from an inaugural eight volunteers to more than 240 volunteers in five hospitals around New Zealand. Later years saw the establishment of stations in Whangarei Base Hospital and Waitakere. Most recently in 2013 a service was opened at the Christchurch Hospital. She was one of the founding Directors of the International Board, and became Chair of that Board in 2008. She remains the New Zealand representative to the Board. As Chair she began the process of establishing a new station in South Africa. New Zealand is the first branch of the charity internationally to commission research to identify the service's benefits to children, families and hospitals. Mrs Neville-White was a Trustee of the Auckland Zoological Trust Board, and was a volunteer for the Auckland branch of the New Zealand Red Cross for three years. Congratulations Deirdre from everyone at Radio Lollipop New Zealand. Your hard work and vision has been unwavering throughout the years and is now officially recognised as it rightfully should.